The other day, my husband asked "How can you enjoy a book when you only get to read it in 5 minute increments?". The answer is that when I enjoy a book I want to read it whenever I can, even if it is only 5 minutes at a time. 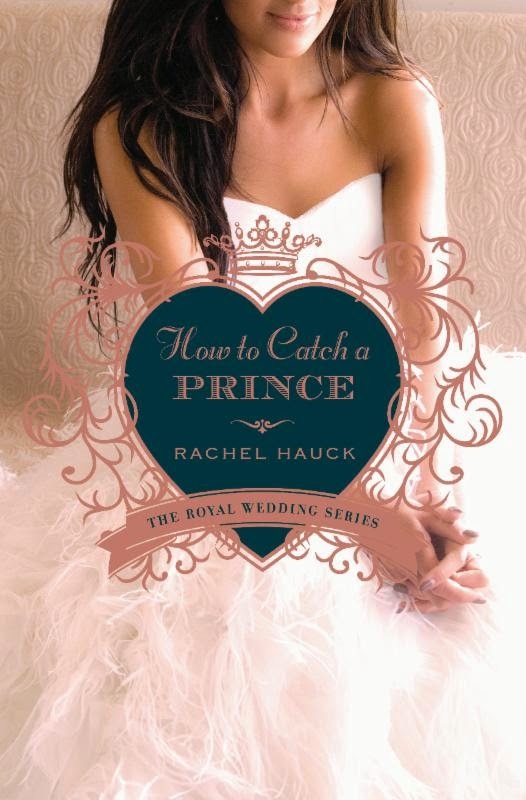 This is exactly the way that I felt about How to Catch a Prince by Rachel Hauck. In this third book in the Royal Wedding Series, we learn the story of Corina Del Ray and Prince Stephen of Brighton. You don't need to have read any of the earlier books to enjoy this story, although one book was about Prince Stephen's brother, King Nathaniel and his wife Susanna and the other story is mentioned a couple of times in the story. Corina Del Ray lost her twin brother 5 1/2 years ago and has only recently started to really move beyond the grief. Prince Stephen is dealing with his own grief through denial and ignoring it by putting his whole self into rugby. As the story progresses, we get to see the power of faith in helping them each to heal and to move towards realizing their dreams. I found that the author did a great job of developing the characters, allowing the reader to develop perspective and then reframe that perspective with the additional detail that is revealed over the course of the story. I felt that this helped me feel a connection with the characters and wanting the best for them. The love story was part fairytale and part modern. I liked the mystery surrounding the Manor and Adelaide and Brill and their role in the story. I would recommend this book to others and look forward to reading other books by Rachel Hauck in the future. American heiress Corina Del Rey's life was devastated by war. Every thing she loved was lost. But after five years of grief, she's shed her grave clothes and started over in the sunshine along the Florida coast. When his brother, King Nathaniel, discovers Stephen's pre war secret, he must deal with an aspect of his life he longed to forget. But how can he do so without exposing the truth and breaching national security? Yet, true love has a destiny all it's own. As the cathedral bells peal through Cathedral City, Corina and Stephen must chose to answer the call of love on their hearts. Find additional information and other reviews on the Blog Tour Landing Page.